THE SCOTTISH FISHERIES SUSTAINABLE ACCREDITATION GROUP (SFSAG) WAS SET UP IN 2008 TO REPRESENT STAKEHOLDERS WITH CATCHING AND MARKETING INTERESTS IN THE SEAFOOD INDUSTRY. THE GROUP WAS FORMED TO PROVIDE A COLLECTIVE BODY SPECIFICALLY REPRESENTING THE MAJORITY OF CATCHING ORGANISATIONS INVOLVED IN DEMERSAL FISHING IN THE NORTH SEA AND WEST OF SCOTLAND. One of the primary aims of the group is to support sustainable management and exploitation of the demersal fisheries in which they operate. As such, the group provides an ideal platform with which to develop and pursue a sustainable certification programme for commercially important demersal fisheries. The group appreciates that the UK and international marketplace is constantly seeking responsible and sustainable supplies of premium quality seafood. The focus of the group is to develop and achieve a programme of sustainable Marine Stewardship Council (MSC) certification which is intended to maximise the benefit for the supply chain and industry as a whole. Through this activity, the group aims to maintain a range of MSC certified stocks which will enhance the reputation and market preference for these species, and provide additional environmental standing for seafood generally. This will greatly support industry to market the sustainable provenance alongside the high quality reputation with which Scottish whitefish is rightly renowned. MEMBERS OF THE SCOTTISH FISHERIES SUSTAINABLE ACCREDITATION GROUP (SFSAG) REPRESENT THE MAJORITY OF THE SCOTTISH DEMERSAL INDUSTRY OPERATING IN THE MIXED DEMERSAL FISHERIES OF THE NORTH SEA AND WEST OF SCOTLAND. CONSUMERS AND SUPPLY CHAINS DEMAND HIGH QUALITY SEAFOOD AND EXPECT IT TO BE HARVESTED FROM SUSTAINABLE AND RESPONSIBLY MANAGED STOCKS, PROVIDING SEAFOOD WITHOUT OVER FISHING OR ADVERSELY DAMAGING THE MARINE ENVIRONMENT. The Marine Stewardship Council (MSC) has developed an environmental standard for sustainable and well-managed fisheries which provides independent certification of commercially exploited fisheries and stocks. The SFSAG has pursued the goal of MSC sustainable certification for key Scottish whitefish species. It continues to work progressively with wider stakeholders in the industry to improve the sustainable offering of Scottish whitefish stocks. In doing so, it has developed a programme of sustainable development; this programme has delivered MSC certification for Scottish North Sea haddock, and Scottish saithe. The group has now undertaken to certify the North Sea cod fishery, and continually reviews opportunities to widen this programme for the benefit of both the Scottish industry and the markets which seek supplies of Scottish seafood. 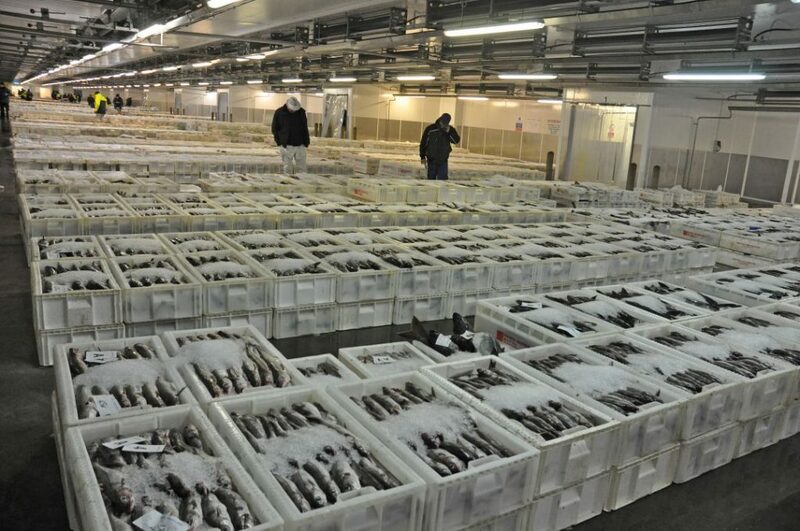 THE SFSAG NORTH SEA HADDOCK FISHERY WAS ORIGINALLY CERTIFIED TO THE MSC STANDARD ON 29TH OCTOBER 2010. IN THE MSC CERTIFICATION COVERS THE CLIENT FLEET FISHING BY TRAWL OR SEINE NET IN THE NORTH SEA (ICES SUB AREA IVA & IVB). A copy of the MSC certificate for this fishery can be downloaded. Further information can be accessed from the MSC website on this fishery and its successful re-certification. 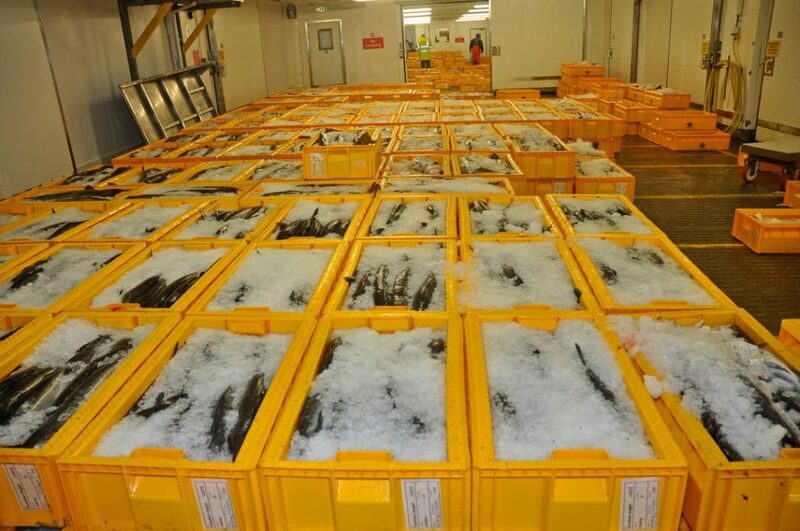 THE SFSAG NORTH SEA & WEST OF SCOTLAND SAITHE FISHERY WAS MSC CERTIFIED ON 3RD OCTOBER 2013. THE MSC CERTIFICATION COVERS THE CLIENT FLEET FISHING BY TRAWL OR SEINE NET IN THE NORTH SEA (ICES SUB AREA IVA & IVB) AND WEST OF SCOTLAND (ICES AREA VI). Scottish saithe is a valuable whitefish species for the Scottish industry; in 2015* the Scottish fleet caught approximately 8,000 tonnes of saithe with a value of around £7 million. Further information can be accessed from the MSC website for this fishery. The SFSAG client fleet of eligible vessels landing MSC certified North Sea and West of Scotland saithe can be downloaded here. THE SFSAG NORTH SEA COD WAS MSC CERTIFIED ON 18 JULY 2017. THE MSC CERTIFICATION COVERS THE CLIENT FLEET FISHING BY TRAWL IN THE NORTH SEA (ICES SUB AREA IVA & IVB). The Scottish NS cod fishery feeds mainly into the supply chains of the UK foodservice sector supplying a variety of fillets and cuts in fresh and frozen formats. Cod was the most popular species eaten out of home with 126m servings. Over 90% of the cod servings (114m) can be attributed to fish and chips. The SFSAG client fleet of eligible vessels landing MSC certified North Sea Cod can be downloaded here. ROCKALL HADDOCK WAS CERTIFIED ON 26TH JULY 2018. THE MSC CERTIFICATION COVERS THE CLIENT FLEET FISHING BY TRAWL OR SEINE NET IN THE Northeast Atlantic (FAO Area 27). Haddock is the most important demersal whitefish species to Scottish fishermen. Over 27,000 tonnes of haddock were landed into Scotland by Scottish vessels in 2015 worth £37 million. 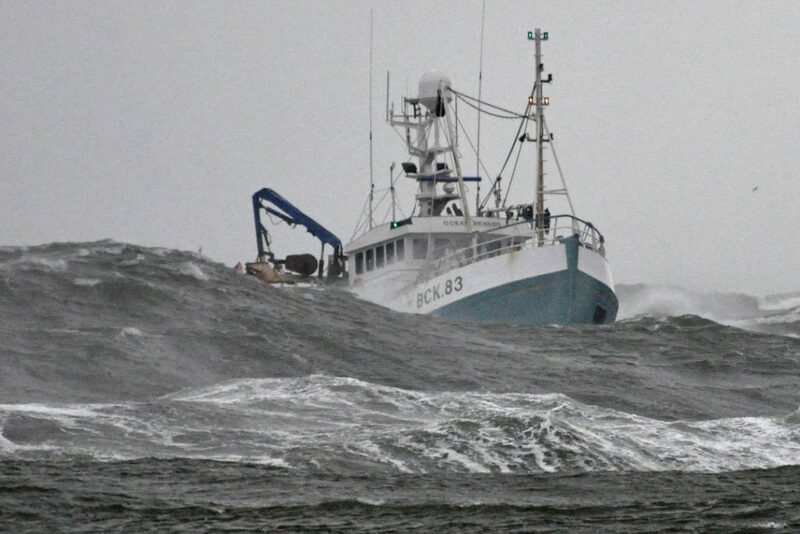 Almost 4,000 tonnes of this is Rockall haddock. MEMBERS OF THE SCOTTISH INDUSTRY OPERATING THROUGH THE SCOTTISH FISHERIES SUSTAINABLE ACCREDITATION GROUP (SFSAG) ARE COMMITTED TO REALISE THE GOAL OF SUSTAINABILITY IN ALL DEMERSAL FISHERIES IN WHICH THEY OPERATE. The Scottish Fisheries Sustainable Accreditation Group (SFSAG) was set up in 2008 following moves to take a range of species through the Marine Stewardship Council (MSC) process. The Group represents members from the UK seafood industry. The group feels strongly that by extending the unit of certification to cover most of the active fleet; the benefits are greater and more readily accessible to the supply chain. The group recognises that like many commercial fisheries across the world, those in Scotland have experienced increased pressure in the marketplace to demonstrate responsible and sustainable activities. Sustainability through a transparent supply chain creates well informed consumers, which in turn has driven increased demand for sustainably sourced seafood. The formation of this group is a direct response to these demands, it is hoped that MSC accreditation will help to maximise the benefit of these demersal fisheries to the industry as a whole. All vessels belonging to the members of the SFSAG are deemed as participating in the client group providing they agree to fish under the provisions and conditions of the named MSC fishery. Client vessels will be members of one or more of the SFSAG member organisations. Client vessels who choose to fish in areas out with the defined geographic scope of the fishery shall communicate all such catches upon landing and sale. Client vessels will operate using the appropriate gear and/or selectivity devices as defined in the scope of the fishery when catching accredited species. Client vessels agree to operate according to the conditions specified for the accredited fisheries. Client vessels agree to cooperate and work constructively towards meeting conditions within any agreed timeframes. The organisations within the SFSAG will take all necessary steps to ensure their operating vessels are fully compliant with the parameters of operation for the accredited fisheries. The SFSAG will take corrective action against non compliant vessels from the MSC client group and may exclude them from the MSC fishery if such corrective actions are not applied within a reasonable and practical timeframe. Members will take all reasonable and appropriate measures to ensure that these fisheries are operated and managed responsibly and sustainably. Members acknowledge that the demersal fisheries in which they operate are a shared resource at a national and international level. As such, members will cooperate with all industry stakeholders and regulatory authorities in their sustainable management. Vessels will take all reasonable steps to minimise unintended by catch and discards which have a detrimental effect to the fisheries and ecosystems in which they operate. The SFSAG supports the participation in, and implementation of the Common Fisheries Policy (CFP) as a means to apply the framework of the FAO Code of Conduct for Responsible Fisheries. The SFSAG takes full note of the ICES advice as the basis of best scientific knowledge which will contribute to management measures governing demersal fisheries. Furthermore, the industry is committed to the maximization of product quality through application of best practice in all fishing activity (fishing methods; on board handling; storage and landing). Members will adopt a policy of continuous improvement to realise this goal. 1. For the purposes of this document; sustainable fishing activity should be taken to mean the harvesting of fisheries in such a way that it maintains biological and economic productivity, biological diversity and ecosystem habitat for current and future generations of fishermen. Supporting protocols which promote international cooperation between the EU and third countries which are involved in the exploitation of mixed demersal fisheries in the North Sea and west of Scotland. Accepting that to have a correctly managed and fairly allocated share of fishing opportunity for all species; fish stocks have to be estimated using the most reliable and robust scientific and mathematical techniques available. The quality of such data is paramount to the accurate process of determining Total Allowable Catches (TACs). Accepting that in order to prevent overfishing, (either through growth overfishing1 or recruitment overfishing2) and ensure sustainability, the methods required to support such TAC’s need to be effectively monitored and regulated. This will entail the accurate registration of catches and the use of technical measures in permitted gear. Supporting and assisting in the gathering and provision of scientific data on demersal stocks; thus securing the most detailed information available for use in the assessments necessary for sustainable fisheries management. 1. Growth Overfishing- When fishing pressure on smaller fish is too heavy to allow the fishery to produce its maximum poundage. Growth overfishing, by itself, does not affect the ability of a fish population to replace itself. 2. Recruitment Overfishing- The rate of fishing above which the recruitment to the exploitable stock becomes significantly reduced. This is characterized by a greatly reduced spawning stock, a decreasing proportion of older fish in the catch, and generally very low recruitment year after year. It has long been recognised that a successful and responsible fisheries policy requires sound scientific advice and data; all stakeholders of such fisheries should ensure sufficient resources and facilities are available to provide a comprehensive foundation in order that necessary research can be carried out. Such research requires monitoring of the stocks; the condition and size distribution of the fish within the stocks; observations of the marine habitat and wider ecosystem of such stocks, if the fishery is to be managed with a successful policy. This needs to be coupled with the necessary research and assessments concerning the fishing methods undertaken to fish the stock and the levels of effort which are being undertaken. Such information can be of a biological, oceanographic, meteorological and operational nature. Additionally samples may be taken for further analysis in laboratory conditions ashore. The value of such research is of particular importance when factors within the overall framework are likely to change in such a way as to influence the ecological balance of the fishery as a whole. Participate in research and assessment programmes focussing on stock assessment, recruitment and fecundity of demersal fish stocks. Participate in research and provide data to assess the levels of effort which are contributing to the exploitation of mixed demersal fisheries. Conduct research to assess new fishing gears, and promote new fishing gears and practices which are consistent with sustainable fishing practices. Assist, initiate and participate in research and observer programmes which support environmental protection. SFSAG member vessels already work closely with FRS Marine Laboratory, Aberdeen on various projects such as the Scottish Industry Scientific Partnership and the Scottish Conservation Credits Scheme. Furthermore, individual SFSAG members may undertake further studies through cooperation with government, management and scientific programmes; with international scientific institutes or initiated by their own members with other co-funding partners. The collection of information on catch; by-catch; protected species; discards and wider environmental data which is used for management and stock assessment purposes. The monitoring of fishing activity and adherence to regulations governing the fishery. The monitoring of fishing activity and effort to develop a better understanding of the operation of the fishery. At-sea observers offer one means of gathering independent, cost effective data, and may be used to reduce conflicts between stakeholders; concerns regarding over-exploitation and to provide a better understanding of how particular fisheries work. Whatever their motivation for use, they should provide outputs that contribute to the development of international management measures that encourage good fishing practices and promote both stock and fishery sustainability. The SFSAG supports their use as one means to provide this assurance and information, and will work with industry agencies, bodies and industry groups to facilitate such programmes where considered appropriate. The Scottish demersal fleet already has good working relationships in this field with Marine Scotland Science Marine Laboratory observers and the additional observer programme facilitated through the Scottish Fishermen’s Federation. In today’s seafood markets, consumers are more knowledgeable and discerning about the products they buy than ever before. The consumer not only requires high quality seafood, but seeks reassurance that it has been caught in a responsible manner. These demands place pressure on the supply chain in general; to be able to demonstrate seafood can indeed satisfy these requirements. Businesses and organisations now draw up policies clearly stating their position with respect to their impact on environment, waste and recycling, and codes of conduct for product sourcing. The operation of a fishing vessel can be thought of in similar terms, and therefore vessel owners/operators should be aware of the changing demands of their customers and seek ways in which to satisfy them. In response to these pressures, the Responsible Fishing Scheme (RFS) has been developed by the Sea Fish Industry Authority in the UK. The RFS can be used as a tool for both the catching sector and supply chain to raise standards, and demonstrate compliance with current good practice. Shows operation to industry good practice guidelines. Provides assurance that the fish from the vessel has been caught in a responsible manner. Helps differentiate the fleet in the world marketplace. The SFSAG realises that this scheme has been developed to recognise good practice and that it will, over time, require modification and improvement in order to keep it practical, relevant and meaningful to demersal fishing. The SFSAG is therefore supportive in further development of the Scheme to help raise standards and seek continuous improvement for the benefit of the industry. This document reflects the current view of the Scottish Fisheries Sustainable Accreditation Group (SFSAG) and provides a statement of intent outlining a general plan of conduct. The SFSAG is committed to ensuring this policy is followed during all direct and indirect operations concerning the fishing, and supply chain activities of the group. The SFSAG will make this policy fully available and transparent to industry and public in general. Furthermore, it will welcome feedback and critical examination of the policy and will amend the policy on receipt of relevant authoritative comment which it may find appropriate to strengthen and improve its content and implementation. The group will undertake to review this policy at regular intervals, and any amendments arising from the review will be published accordingly. Those vessels operating suitable mesh size and/or appropriate selectivity devices catching North sea haddock, using the above described gear. Vessels will belong to at least one of the following associations and/or producer organisations.